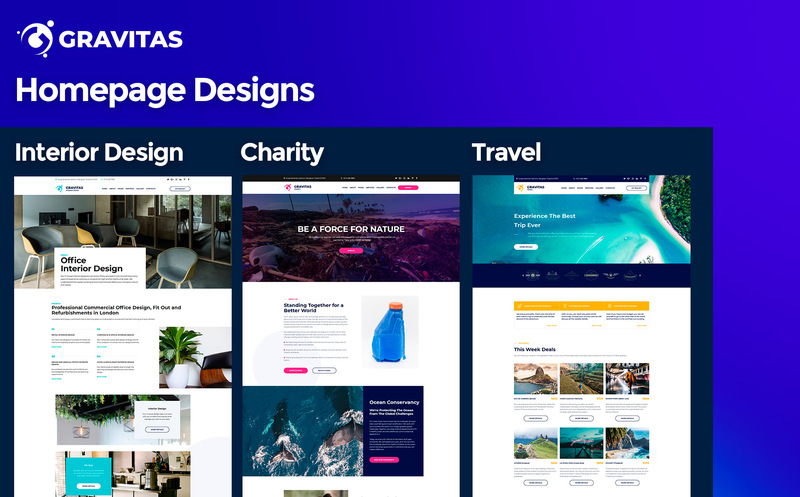 Whether you have a small business, own a local enterprise, or manage a corporation, Gravitas is a perfect website design for you. 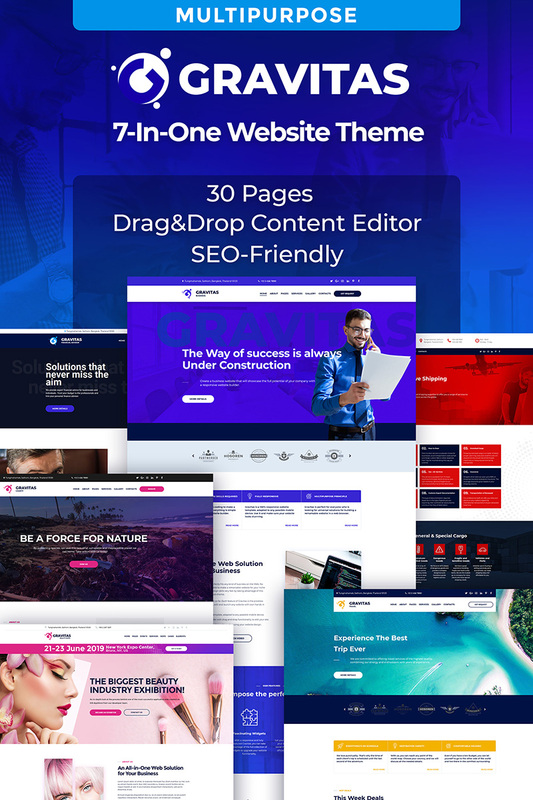 Being responsive and well-documented, this website template for business comes with a diversity of features that surely will make every business website stand out on the web. First of all, it boasts an intuitive website builder with a comfy admin panel. Thanks to this feature, you can create, edit, and update your business website yourself, without anyone's assistance at all. Moreover, you do not need to have any expertise in web development or design. Everything is based on the drag & drop principle. 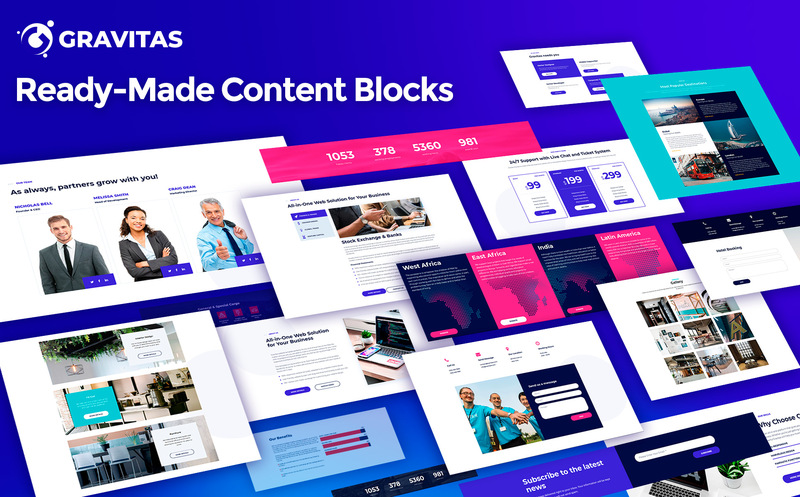 Choose blocks, customize text, images, color scheme, whatever, up to your taste, enrich the template with your personal content, and enjoy the site that matters! 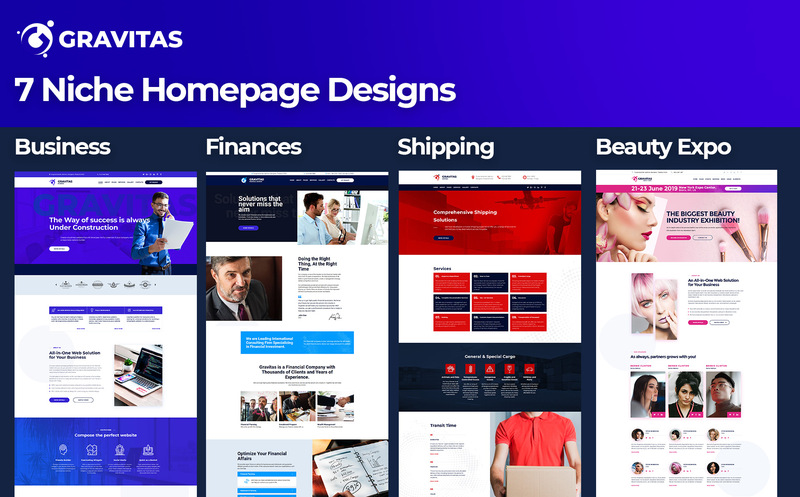 Pick Gravitas business website template to make your business grow online! 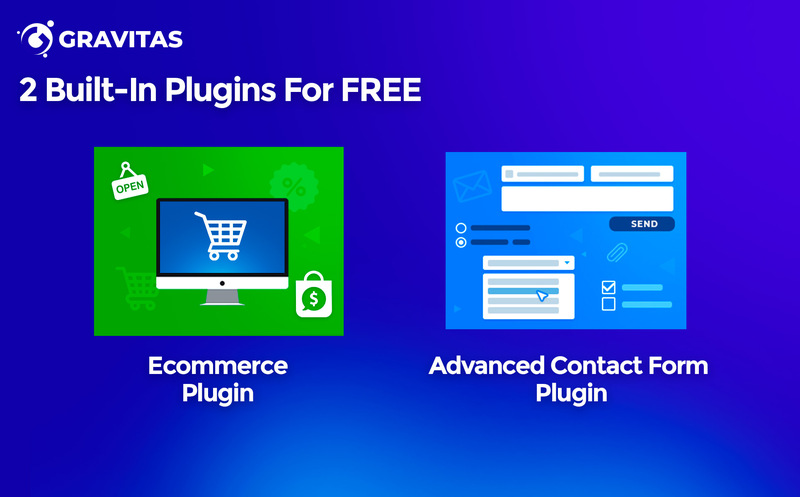 2 Plugins are included into the template for free: Ecommerce, Advanced Contact Form. With Gravitas business template by MotoCMS you get a single site license with free 24/7 tech support. It&#039;s not my first template with MotoCMS, but it&#039;s truly the best. Nice design, lots of pages, and the functionality is fantastic. The support team is attentive as usual. I have chosen this theme for its Interior Design child theme. It fits my project the best. Ecommerce plugin is rather useful too, especially because it goes as a free bonus. This is the best template I could got for my project. The system is so simple, that I managed to complete the main pages within just one day. Cool, love to work with this builder.